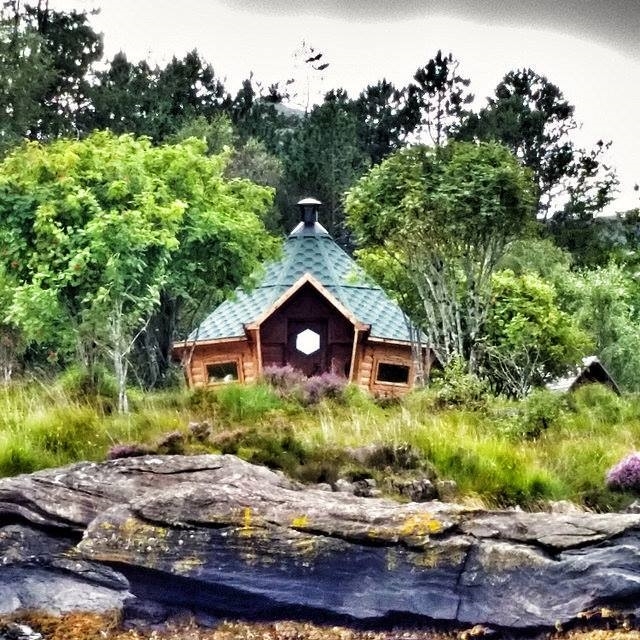 A hut/cabin by the harbour on Loch Scresort with use of the campsite showers, toilets and faciltiites. Sleeps 4 and seats up to 20ish. The brand new BBQ Bothy is now available for hire - £50 per night for as many people as you can fit inside! The cabin sleeps 4 and can seat 20. The barbeque is inside the hut for a warm and cosy, midge-free evening, whatever the weather. Sleeping platforms with luxurious reindeer hides provide comfort and warmth while you wait for your sausages to cook. Situated on the edge of the campsite, looking out over the loch near the old pier, this beautiful new cabin is a welcome addition to Rum’s accommodation. It’s close to the toilets and showers, and only a ten minute walk from the village.